and a solid helping of social media bla bla. And all for what? To make happy people of course. We always make it a point to address our target in their language. When it comes to youngsters, the job feels easy. 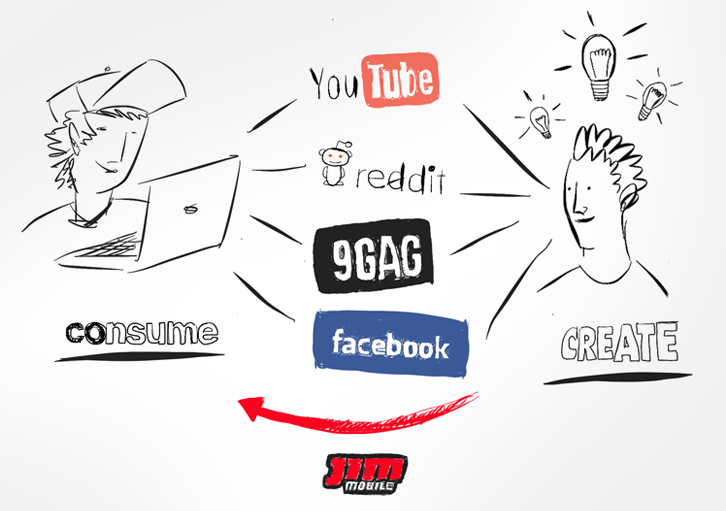 We constantly have our finger on the pulse of reddit, 9gag, tumblr, ffffound, youtube etc. A great source of inspiration and, truth be told, something we probably love that as much as they do. 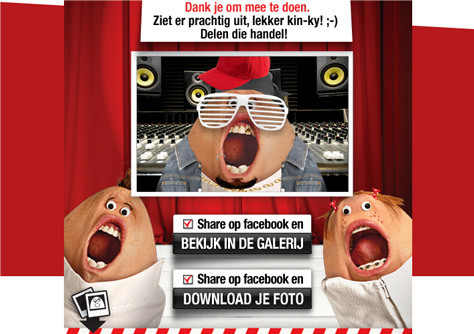 Jim Mobile asked us to think about their new prepaid promotion: You now get triple the amount of free call minutes. 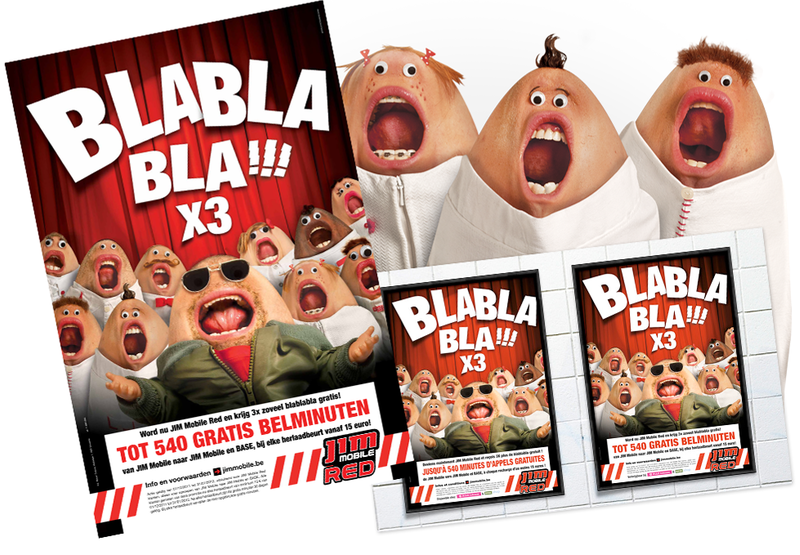 In other words three times more bla bla, for free. Because the new proposition was all about 3 times as much free calling, we created some large chitchatting creatures: the chins! 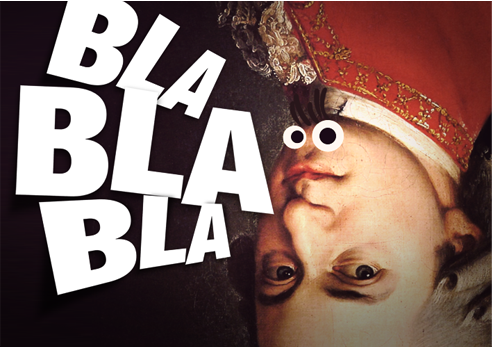 And since we wanted to celebrate this feast of chitchat, we also decided to create our own blah-blah-blah theme song. We wanted a catchy tune, something universal and perhaps even already ‘well known’ and appreciated. Our choice was quickly made: Eine Kleine Nachtmusik’, an eternal classic by revered composer Amadeus Mozart. After re-recording his ‘hit single’ with our inspired lyrics (blah, blah, blah), we created a professionally sung, master earworm. 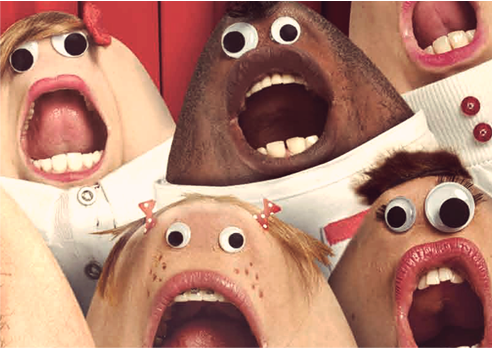 This is what you get if you turn people upside down, hide their nose and eyes, stick some new eyes on their chin and make them sing. DO try this at home! It’s greaaaat fun. 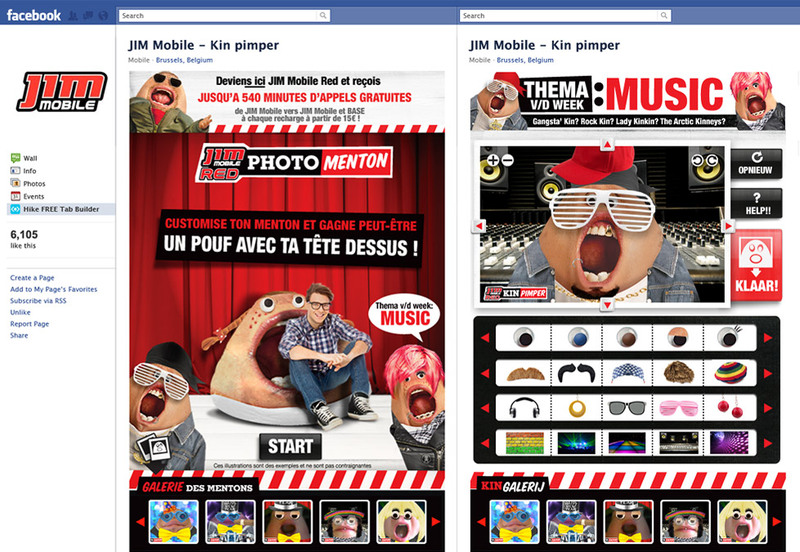 Since Facebook is an important medium to have a dialogue with your consumers, Jim Mobile and Seven worked out a Facebook policy, which is a healthy mix of service and …fun! Including some cool Facebook App’s from time to time! 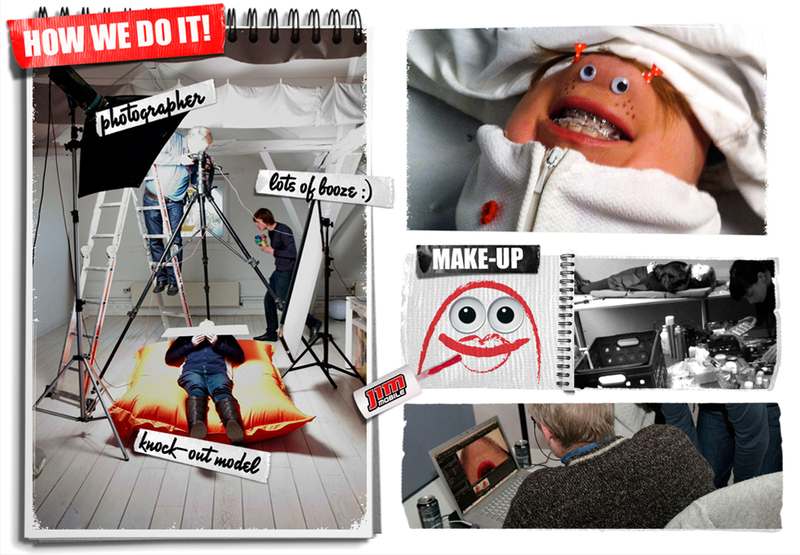 For this campaign we created ‘The Chin Pimper’. 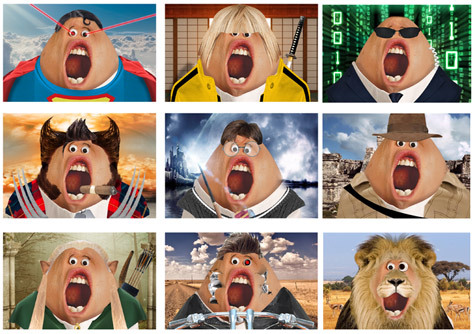 A nifty Facebook App that turns your own chin into a wierd new creature. Every week had a new theme (e.g. movie characters, pop stars, party,…) with some new unlocked attributes. At the end of every week one winner was chosen who won his own chin! The facebook app was a big success, almost 700 different designs were submitted. 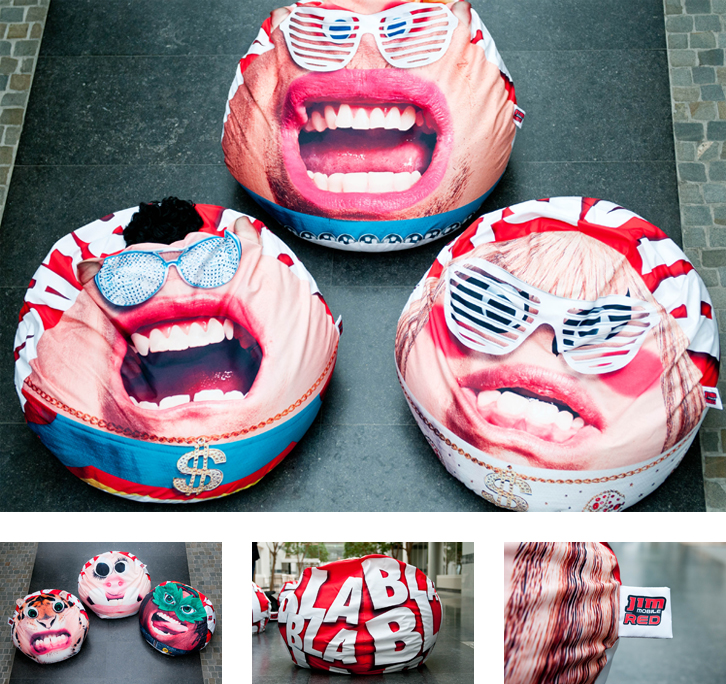 The 8 winners were all invited to a special photo-shoot and won their own personalized ‘Sitting Chin’: a cool giant beanbag with their personal chin creation printed on it. Want us to do some magic for you?